How am I going to transfer the money from my Irish account to my new Australian account! After this people either just do a bank transfer(NOT RECOMMENDED!) or seek out one of the many currency transfer companies out there! So we have compiled a list of 4 common mistakes that people make when transferring money abroad! The best way to transfer your money when moving to Australia is with a currency transfer company, such as Currency Fair, rather than a bank. The main reason we suggest them is we use them ourselves and have done since we moved to Australia. Banks will charge you up to €40 per transaction and over the course of your Australian time these fees can certainly begin to accumulate. For example, two transfers a month can lead to €1,000 in fees alone! Transacting through a specialist currency company can substantially reduce the fees. 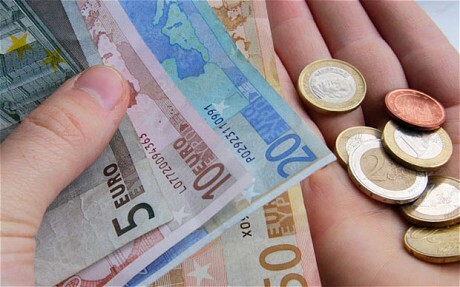 Fees won’t be eliminated altogether but many currency specialists provide free transfers above €2000. Just check out the calculator on Currency Fair, you just type in how much you want to transfer and it tells you what the equivalent in bank charges would be. You’ll also get a better foreign exchange rate, this can be up to 4.0% which, if you transfer a large sum of money, can add hundreds or thousands of Australian dollars to your total. Since Australia is an expensive country to live in, making sure you have as much money as possible will make the relocation easier, plus it’s your money you shouldn’t have to pay to have it in another country. You can sign up for currency fair here if you want. When transacting with a bank or foreign exchange broker, always benchmark the rate offered with the ‘actual exchange rate’ as this will give you a clear understanding on whether you have been offered a good or bad deal. Remember you are the customer and have a choice, so make sure you are quoted inside 1% of the actual exchange rate, if not compare other competitors. Be sure to check out the most accurate live currency rates on XE currency. They also have an awesome app which we use all the time! Great for keeping track of the exchange rate. It can be very tempting to take everything out of your bank and bring it with you, but we must warn you that it is not safe to bring large sums of money with you! Of course, you need to ensure you have enough money with you to support yourself when you first arrive. If you’re carrying $10,000 or more in cash, then you must declare it when entering Australia or you could be arrested and the money taken off you, and no one wants that. The payment system has matured and there is an ever greater choice for you to choose from when looking to transfer money abroad. Whether you transact with a bank or specialist currency company, don’t settle for the first deal you may stumble across, and if it comes to it don’t underestimate the power of good old fashioned haggling either! Now go and transfer money at the best rate! Just make sure when you are transferring money your getting the best deal!